This site consists primarily of archived content having more-than-ephemeral interest that's been pasted from the OakLeaf Systems blog. Some pages are present because readers might like larger inline images than the current blog format supports. Click the links at the left to view OakLeaf Systems blog posts in a GooglePage format. Databinding, concurrency issues, and other data-related exotica. I'm the principal consultant of OakLeaf Systems and the author of 30+ books on Microsoft operating systems (Windows NT and Windows 2000 Server), databases (SQL Server and Access), .NET data access, Web services and InfoPath 2003. The books have more than 1.25 million English copies in print and have been translated into 20+ languages. 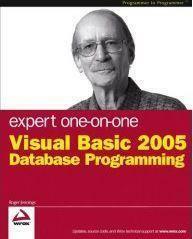 My latest book is Expert One-on-One Visual Basic 2005 Database Programming for WROX. I'm also a contributing editor of Fawcette Technical Publications' Visual Studio Magazine and a frequent contributor to their .NETInsight newsletter. OakLeaf's Code of Federal Regulations (CFR) Web service won the charter Microsoft .NET Best award for horizontal XML Web service solutions. OakLeaf Systems is a Northern California software consulting organization specializing in developing and writing about Microsoft SQL Server/.NET database and Web services projects.